Please type your desired tags, e.g. Materials and Polymers, Development, Biochemistry and Biophysics, Bio-Organic, Medical Rhetoric, Curriculum Development, Poverty, Intimacy, Physical Anthropology, 19th & 20th - Century American Literatures & Cultures, Communication, Early American Literature, Appalachian Literature, Holocaust History and Literature, Eighteenth century French intellectual and literary history, and etc. The development of combined artificial intelligence/geospatial analysis techniques to address geospatial problems. The development of spatial optimization techniques. Accuracy evaluation of spatial analysis. The development of new and refinement of existing spatial statistics. GIS as a Vehicle for Negotiated National Forest Planning. 1994–1994	1994. USFS Community Planning Workshop. Ithaca, New York. 1996–1996	1996. Modern Marketing Form 1996. Fort Collins, Colorado. An Accuracy Assessment of Various GIS-Based Viewshed Delineation Techniques. 2001–2001	2001 GIS in the Rockies Conference, Denver, Colorado. 1996–1996	1996. Indexing Resource Data for Forest Health Decision Making. Pingree Park, Colorado. 1997–1997	1997. Presented to the Taiwan Forest Research Institute. Nanhsi, Taiwan. Member of the American Society of Photogrammetry and Remote Sensing. Member of Xi Sigma Pi (Forestry honor society). Member of Sigma Xi (Scientific research society). 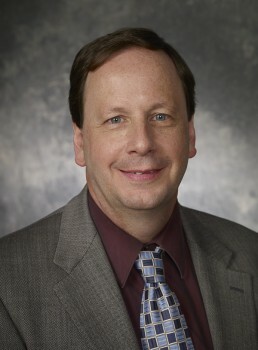 2004-Present: Co-chair of the Research Advisory Committee and member of the Executive Committee of CSUs Information Science and Technology Center (ISTeC) (http://istec.colostate.edu/). ISTeC is a campus-wide group dedicated to promoting interdisciplinary IT research and teaching across the CSU campus. In my role with ISTeC, I have organized poster sessions (with over 100 presenters at each session) for university-wide IT research symposia, organized the inaugural and two subsequent annual retreats for CSU faculty involved in IT research, represented CSU at ISTeC industrial advisory committee meetings, and so on. 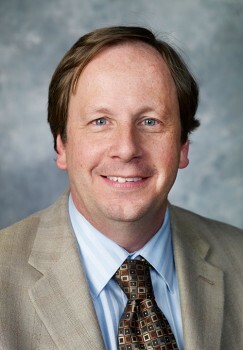 2001-2006: Director of the remote sensing/GIS program. Responsible for coordinating classes and seminars, distributing information about the activities of program faculty to other faculty and administrators throughout the university, first point of contact for individuals seeking information about the program, etc. 2001-2006: Director of the Graduate Certificate in Geospatial Sciences program. Responsible for tracking all students admitted into the program by all certificate advisors (there are approximately 25 advisors in at least four different colleges), approving course substitutions and wavers, approving completion of the program, interacting with the graduate school in ensuring that student records are up-to-date, etc. 1992-2001: As the head of the GIS portion of the Remote Sensing/GIS Program in Colorado State Universitys College of Natural Resources, I coordinated the GIS teaching activities of four faculty members within the program. Denis Dean, professor and head of the Geography and Geospatial Information Sciences Program at UT Dallas, has been named dean of the School of Economic, Political and Policy Sciences.Dr. Dean is an expert in geospatial analysis, which can be applied to real world applications including urban planning, population studies and computer mapping programs.He began his new role as dean of EPPS on Nov. 1. 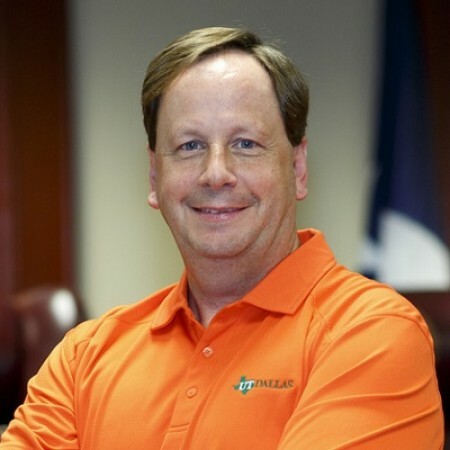 Dr. Dean joined UT Dallas in 2008 and served as professor and head of the Geography and Geospatial Information Sciences Programs, where he was responsible for administering the program budget, student retention, and faculty teaching assignments. Under his tenure, the program’s enrollment has grown by 15 percent. Prior to coming to UT Dallas, Dr. Dean taught at Colorado State University for 15 years, where he helped launch the Remote Sensing and Geospatial Information Systems Program.Dr. Dean also designed and taught courses that exposed undergraduate forestry students to basic concepts of remote sensing, GPS and spatial statistics.His current research interests include spatial optimization, the use of artificial intelligence and other computing approaches to address geospatial problems, developing new spatial data analysis techniques, and assessing the accuracy of existing techniques. The School of Economic, Political and Policy Sciences (EPPS) at UT Dallas hired three tenure and tenure-track faculty members this fall. Linking Watershed Characteristics with Flow Regime & Geomorphic Context to Diagnose Water Quality Impairment at Multiple Scales - Phase II. Template for the Development of a SNAP-like Software Program for USFS Project-Level Planning.